Norm @ IRE was the second Contractor I contacted after the first Contractor delayed my initial inquiries and follow up calls for almost 3 months. We are pleased and confident in offering an enthusiastic endorsement of Independence Renewable Energy and Norm Johnson. 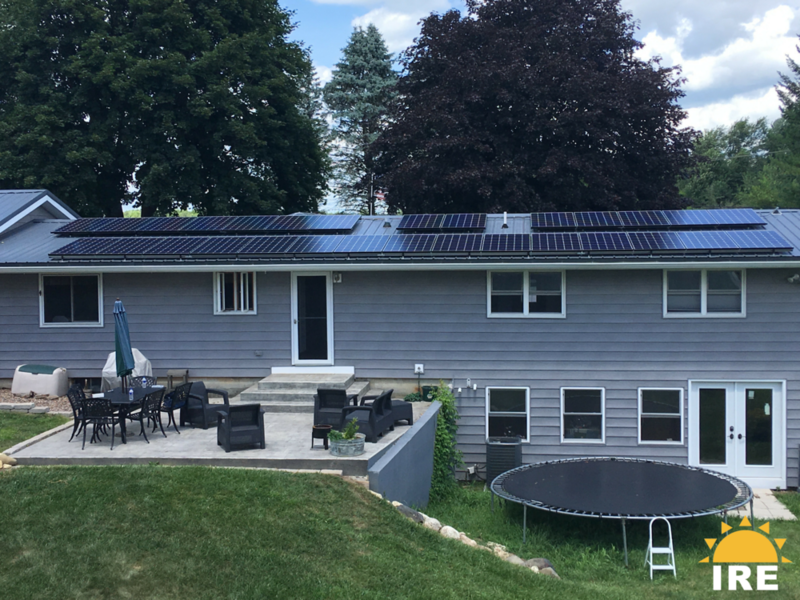 As a former Journeyman IBEW Electrician, Norm provided a wealth of knowledge and advice not only for the planning and construction of our Solar Array, but also advised us on the Electrical Construction of our new home as well. Norm was one of the very few Contractors that kept appointments and met schedule deadlines! Norm was also instrumental in guiding us through the application, permitting and connection process with Com. Ed. for both our original 6kW and later 4kW Expansion, as well as our successful applications for the Illinois State Renewable Energy Rebates.